← Have I Been Looking At Things Backwards? Jen Blood here, taking a break from full-on immersion in the next novel to spend a little time at Maine Crime. THE DARKEST THREAD is technically the first book in a new series featuring K-9 search and rescue handler Jamie Flint, but it’s actually a spin-off of my Erin Solomon novels, where Jamie was first introduced to readers. Now that I’m back in that world so much these days, I thought it would be fun to give readers a glimpse into the locales that have served as inspiration. 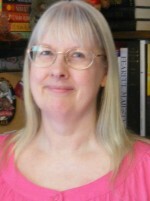 As a writer, I don’t think I’m that different from most who make their living crafting fictional worlds. I get inspiration from the world around me: the people, the places, the views, the animals. 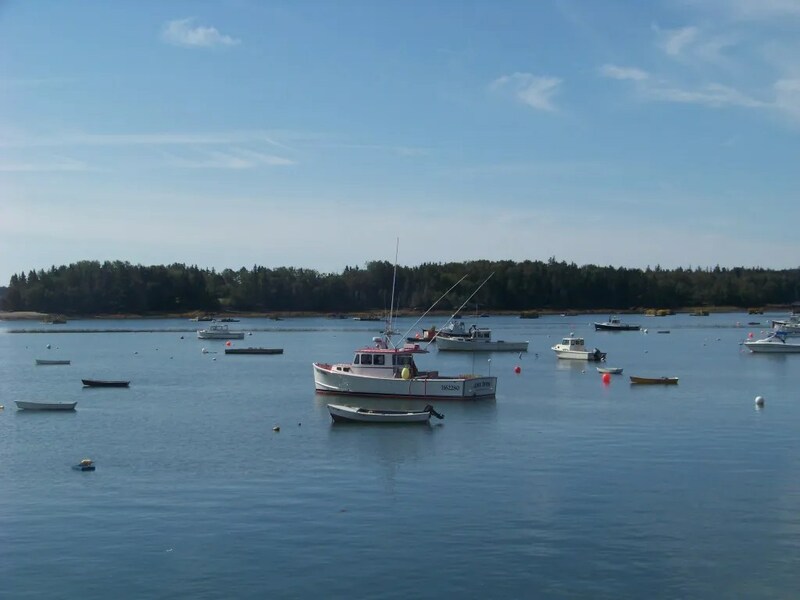 Having grown up in Midcoast Maine, I was never short on inspiration; there are plenty of eccentric characters and picturesque destinations to go around in these parts. While Erin’s hometown of Littlehope, Maine, is technically fictional, most people from this area agree that the little fishing village seems awfully familiar. That’s because Littlehope is an amalgamation of a handful of towns around here, and many of the businesses mentioned are places I frequent…well, frequently. Here are a few of them. 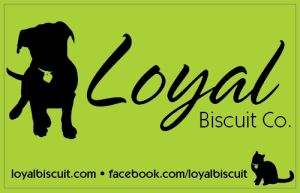 In the Erin Solomon series, the go-to destination for Erin’s dog Einstein is the Loyal Biscuit — a super-cool, actual pet boutique owned by Heidi Vanorse Neal, with locations in Rockland, Camden, Belfast, and Waterville. My pup Killian gets most of his food from the Biscuit, and has become so hooked on their duck feet that I’m pretty sure some form of doggie crack is a main ingredient. Heidi and the Biscuit have won a whole parcel of awards, the store has its own treat line as well as a line of dog toys, and it has the best crew of workers this side of the Mason-Dixon line. 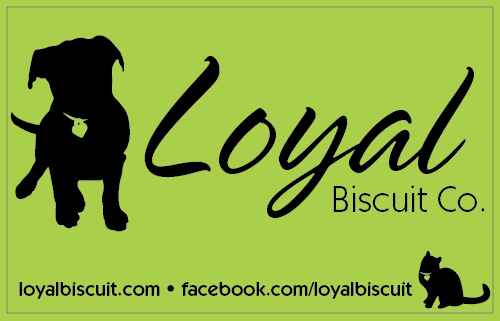 Whether you live in Maine or are just visiting, a must-stop destination for any animal lover is definitely The Loyal Biscuit. Since it first opened in 1951, the little ice cream stand on Route 1 headed north toward Rockland has become a mainstay. Now, every April without fail the whole region waits with bated breath for the day when the Open sign returns at Dorman’s Dairy Dream and another season of amazing ice cream is upon us. They’re not open on Sundays and the lines are usually substantial, but no one seems to mind. I can still remember being sunburned and shivering after a long day at the beach, so sleepy I could barely keep my eyes open, standing in line waiting for my peppermint stick with chocolate sprinkles on a homemade waffle cone (which I actually, incidentally, had just this afternoon). When I was writing SINS OF THE FATHER, the second Erin Solomon novel, it seemed only natural that one of the places Diggs and Erin would hit on their way out of town would be Dorman’s. 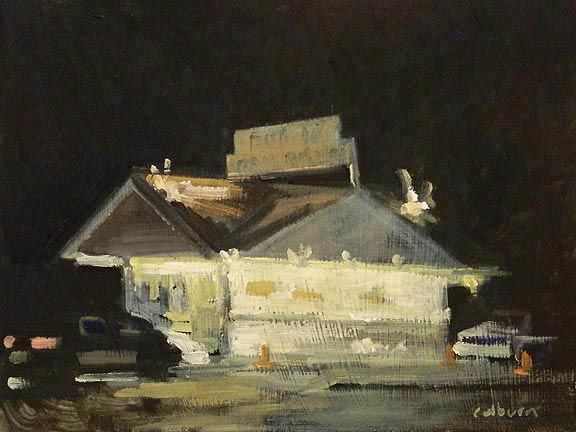 Dorman’s Dairy Dream, as captured by artist Robert Colburn. 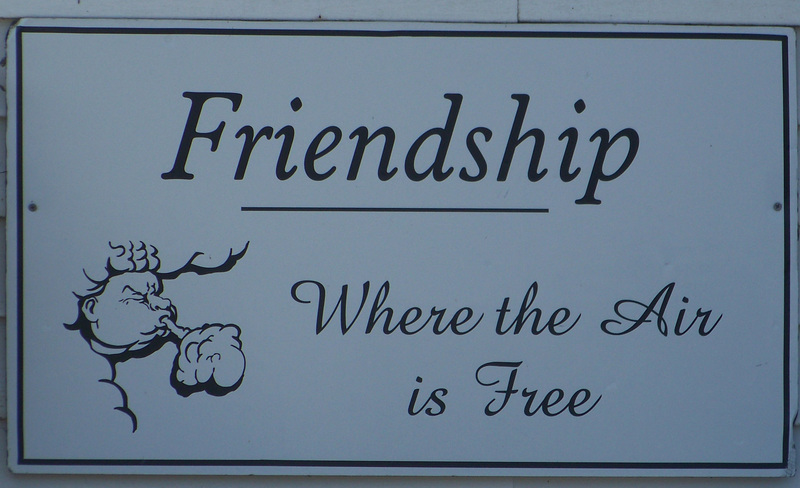 While it’s true that Littlehope is actually an amalgamation of a whole slew of towns here in Midcoast Maine, the original inspiration is a little fishing village on a peninsula at the end of Route 97 called Friendship. When I first started writing ALL THE BLUE-EYED ANGELS back well over a decade ago, I was house sitting regularly for a couple who lived in a cute little cape on Tamarack Lane. In fact, the character of Noel Hammond is loosely based on the guy I house sat for, and Noel’s house is a dead ringer for that cute little cape. 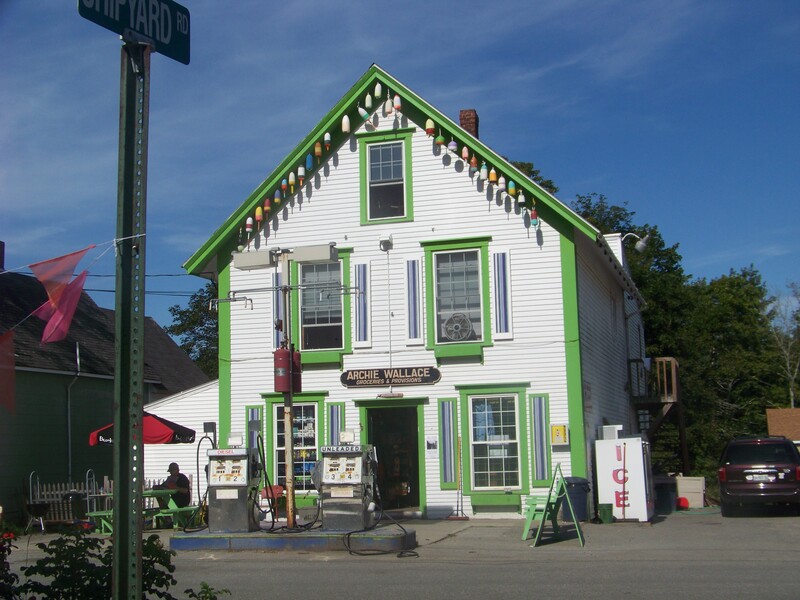 The general store, the public landing at the bottom of the steep hill, and the side roads that follow the ocean are all taken from Friendship, as is its reputation as a tough, independent little town that makes the news every so often for its lobster wars and the occasional domestic dispute. I always think it’s fun to learn more about the places my favorite writers have patterned their settings after. What are your favorite fictional towns, and the characters who walk their streets? 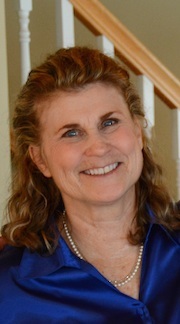 Jen Blood is author of the bestselling Erin Solomon mysteries and the upcoming Flint K-9 novels. 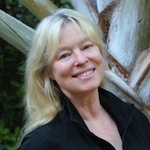 You can learn more by visiting her website, at www.jenblood.com. 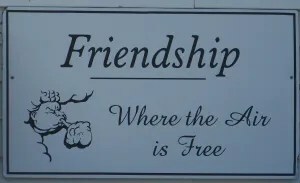 This entry was posted in Jen's Posts and tagged fictional towns, Friendship, Maine. Bookmark the permalink. Thanks for the little tour of Midcoast, Maine. Although I live here, I learned a few things. I love this post and the photos, too. Setting is so important, and I agree it helps so much to have a real place as a basis. The next time I’m in Friendship or feel the urge to swing into Dorman’s, I’ll think of you and your books.